If you have any questions or want to enquire about dates, use our form to contact Enrichetta Bichi Ruspoli or see their website for more information. 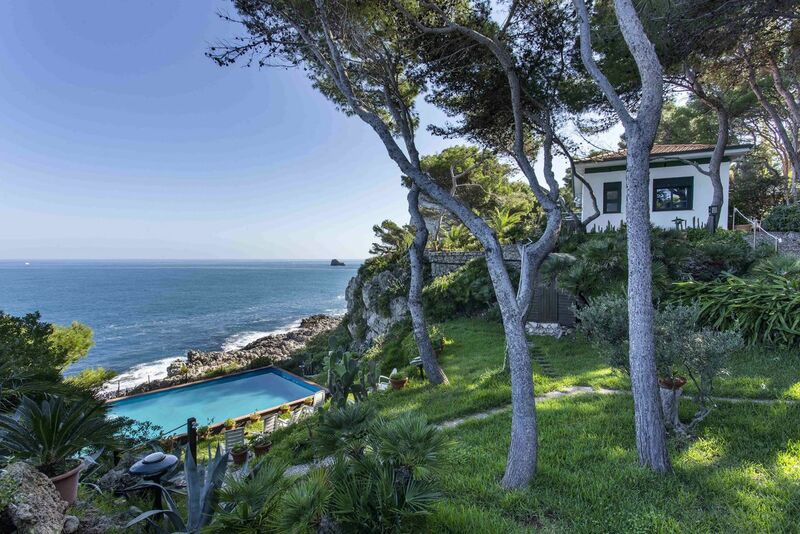 If a private, aristocratic, rural setting appeals, you’ll feel on top of the world here. Rooms in the handsome former Cerreto farmhouse have fabulous views over the tended grounds and Crete Sinesi countryside; each has a private terrace or gazebo in the garden too. The owners of all you see live in the Renaissance Villa, alongside the family Chapel, and can arrange meals, meetings and marriages. You can breakfast and snack out under the trees on the terrace of the little café, and plunder local markets to cook regional food: white truffles are a speciality. Take bikes, tennis rackets, golf clubs and walking shoes – and your wine-tasting palate; laze by the limpid pool, stroll around the estate lakes. Siena is a joy and you’ve other Tuscan treasures nearby like walled medieval Monteriggioni, and Montalcino, with its Brunello wineries. Staying here as a group for any celebration - what a place for a wedding! 3-7pm, Saturday turnover in high season. Extra bed, €20. Cot available. Sofabed available. Priceless UNESCO location at the heart of Crete Senesi is a perfect choice for a very independent group, who can take advantage of a historic cluster of rustic structures on top of the world! Special setting for a reunion or celebration. 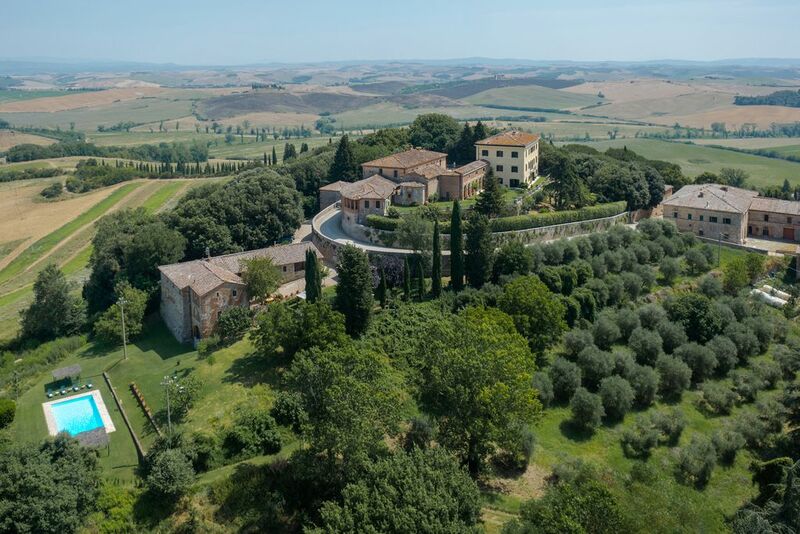 An authentic renaissance noble property from which to explore endless Tuscan treasures within minutes. Intimate enclave immersed within Siena's stunning scenery checks all the boxes. In the beautiful Tuscan Crete Senesi region, 11.5k south east of Siena, the medieval hamlet of Radi has its own café for breakfasts and light lunches. 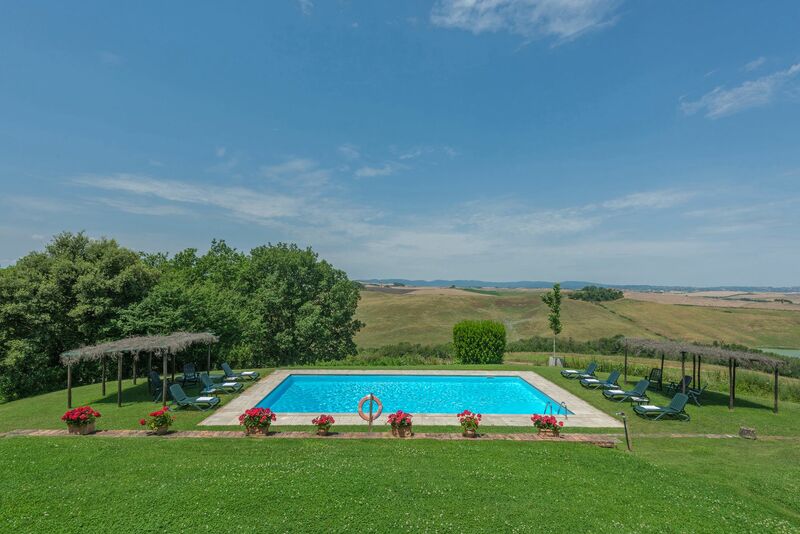 It’s a couple of minutes’ drive to the nearest village, 5 to the closest supermarket at Monteroni d’Arbia, 10 to the Buddha Spa thermal resort. Murlo Castle and the 18-hole Bagnaia Golf course are 8k away; Montelcino (home of L’Eroica cycling) and Monterriggioni 30; it’s 90k to Florence Airport. There was a castle here in the 10th century; the crest reflects family mergers over time and the 17th-century Villa di Radi was built by the forbears of current owners, and your gracious, helpful hosts, Ridolfo and Enrichetta Bichi Ruspoli Forteguerri. 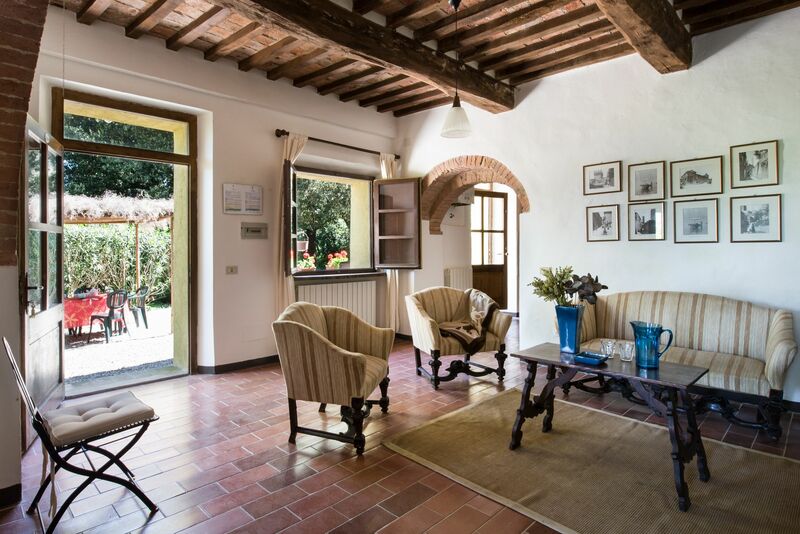 Their Villa is entirely separate from their guests in the Cerreto and the surrounding land is part of their 1000 hectare, organically farmed estate, producing olive oil, grain and animal fodder.